In October, several publications marked the 80th Anniversary of the Chinese Communists’ Long March. We have chosen two stories that revisited this event and that were standouts, visually. 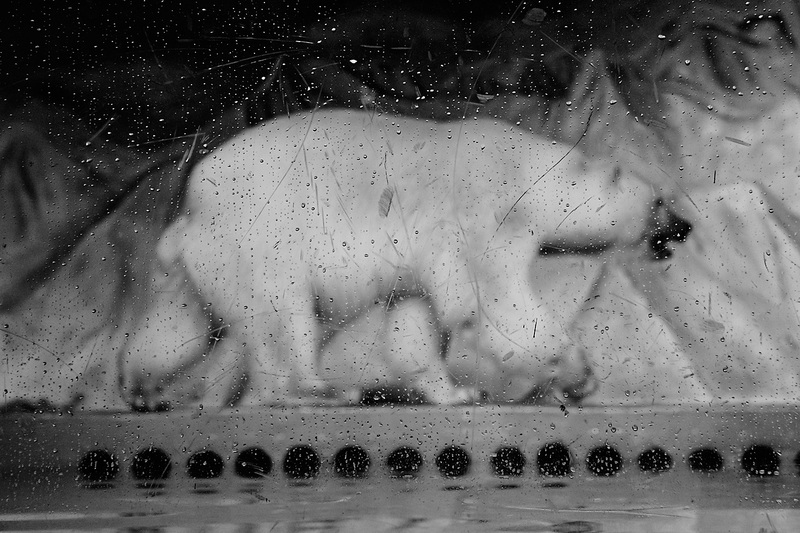 Elsewhere, photographers followed stories both large and small, from public outcry about arctic animals on display in China’s southern city of Guangzhou to the superlative Hong Kong-Zhuhai-Macao Bridge, from subterranean street photography of Beijing’s subway to China’s last match-producing factory. Li Junhui, a staff photographer at China Youth Daily, spent a month traveling along the route of the Long March with medium format film cameras. 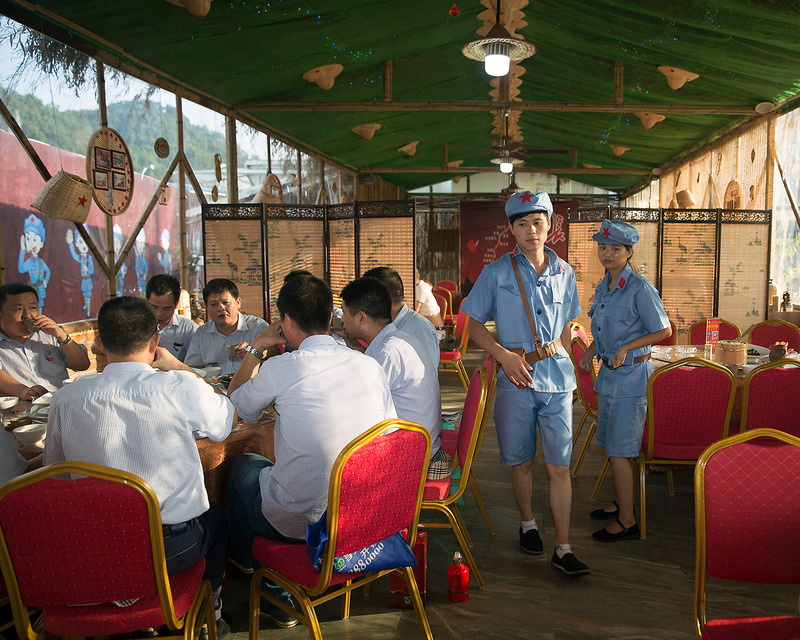 It has been more than 80 years since Mao Zedong led his supporters in the fledgling Communist Party 6,000 miles from their embattled base south of the Yangtze River to the desert caves around Yan’an. Li’s own slow retracing of the former leader’s steps seems to decelerate the pace of modern life, slowing movement, playing with light, and simplifying compositions to meditate on today’s China. Historians outside of China generally date the end of the Long March to 1935, when Mao’s Central Army arrived at Yan’an. But in China, the March is said to have ended in late 1936, by which time other groups of Communist troops had also made it to Yan’an and Mao had begun to consolidate his leadership. Another ambitious project marking the anniversary of The Long March is The Paper’s immersive interactive project by Chen Ronghui. 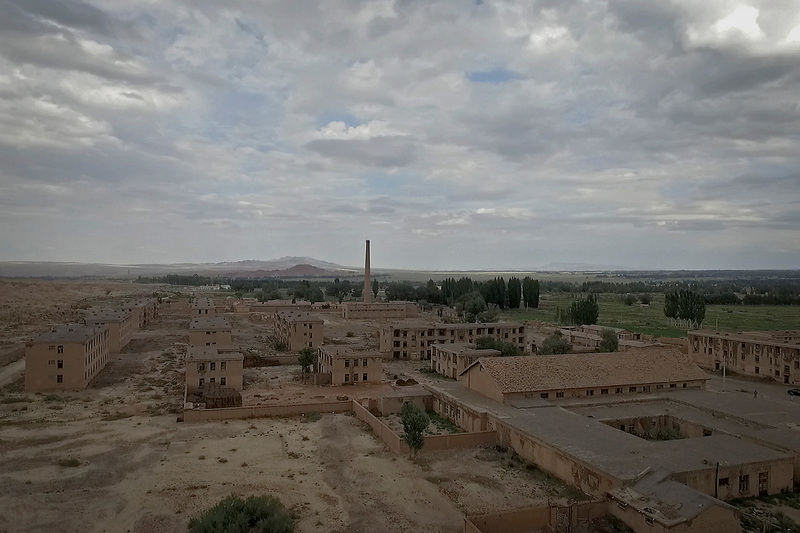 A World Press Photo winner, Chen spent two months producing both photography and video, and visiting historic cities along the route of the Long March. Using monuments commemorating the Long March in each city as a visual symbol and a thread throughout the story, the interactive feature is a collection of stories of people remembering this significant period in China’s history. 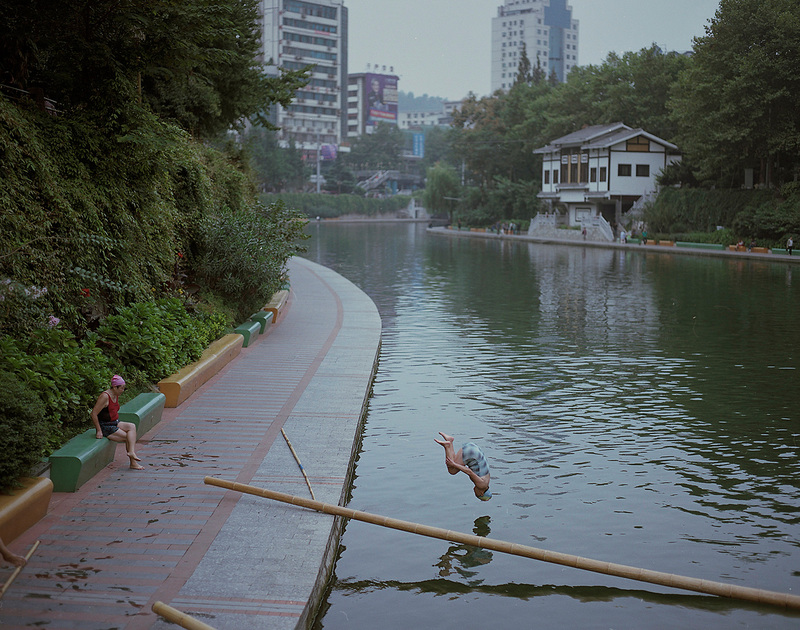 Photographer Stamlee documented the lives of residents in Zhangjiakou, Chengde, and Baoding, in Hebei province, cities to the west, north, and northwest of Beijing. To protect the environment, in recent years the government has implemented regulations on animal grazing, mining, textile factories, and other high-polluting industries, leaving locals with few options to make a living. Type in a URL wrong and a 404 tells you the web page you are searching for cannot be found. In the 1990s, 404 City had 100,000 inhabitants but was not listed on any map, according to Xu Haifeng’s story in Sixth Tone. The city was built in 1958 to house a nuclear bomb, but by 2006, most people had been relocated elsewhere. Now largely deserted, the empty spaces revealed in Xu’s images seem locked in a time long since past. Yang Wenbin, whose work on e-cigarettes appeared in last month’s Depth of Field, visited a Virtual Reality convention in Shanghai this July. 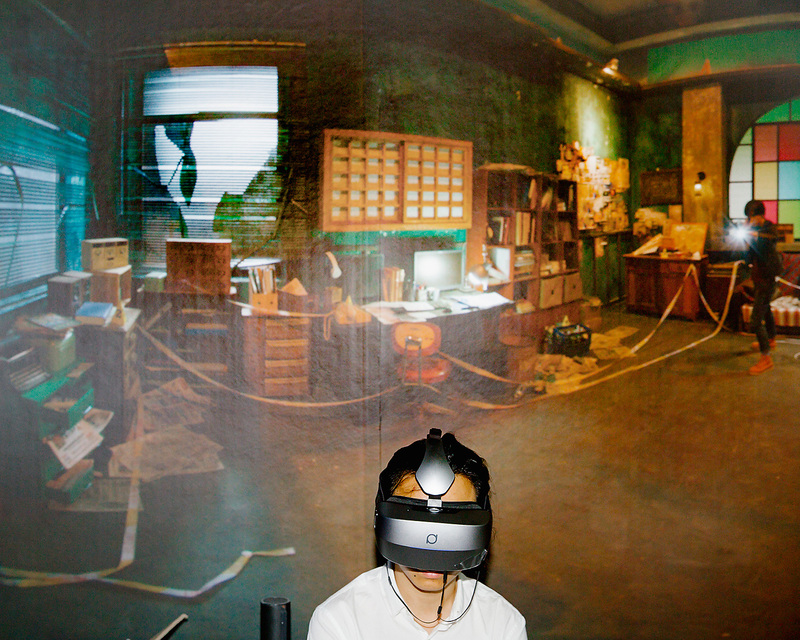 Virtual Reality is growing explosively in China. 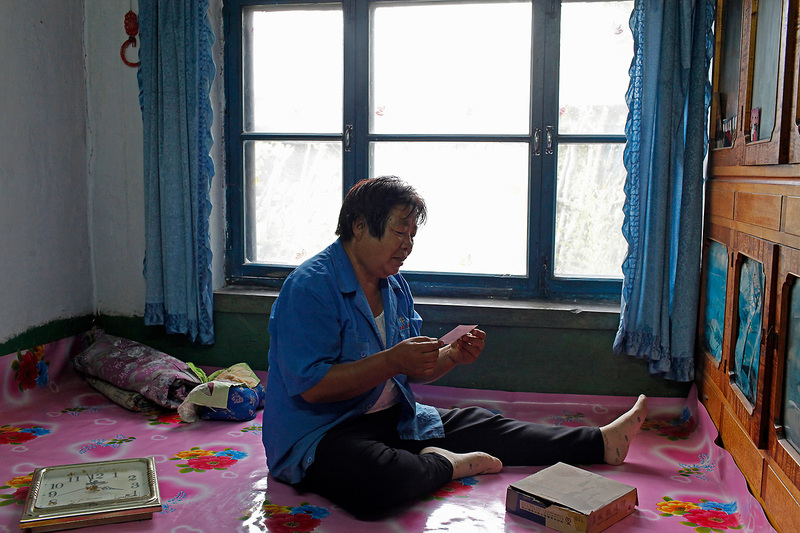 Yang’s photos focus on the disconnect between its adherents and the world around them. Photographer Bai Shi documents the struggling match factory Lucky Star, the last of its kind in Dongbei, northeast China. At its peak, from 1987 to 1997, Lucky Star had 400 workers. But in today’s China, matches are not the necessity they once were. The factory currently employs only 14 workers and runs limited production from May to October each year. The Grandview Polar Sea World inside the mall of the same name is located in China’s tropical city of Guangzhou. The aquarium is home to several polar animals including penguins, a nordic fox, harbor seals, and “Pizza,” a polar bear. Recently, a Chinese animal welfare group wrote a letter to the province’s governor calling Pizza “the saddest polar bear in China.” The letter went viral on Chinese social media. Liang spent time at the aquarium and produced this gallery of images, many of them reminiscent of photography of the fateful journey to the South Pole by Ernest Shackleton on the Nimrod or Robert Falcon Scott on the Terra Nova. For more than 30 years, Chen Zhixian has photographed daily life in one square in his hometown, Jincheng, Shanxi province. 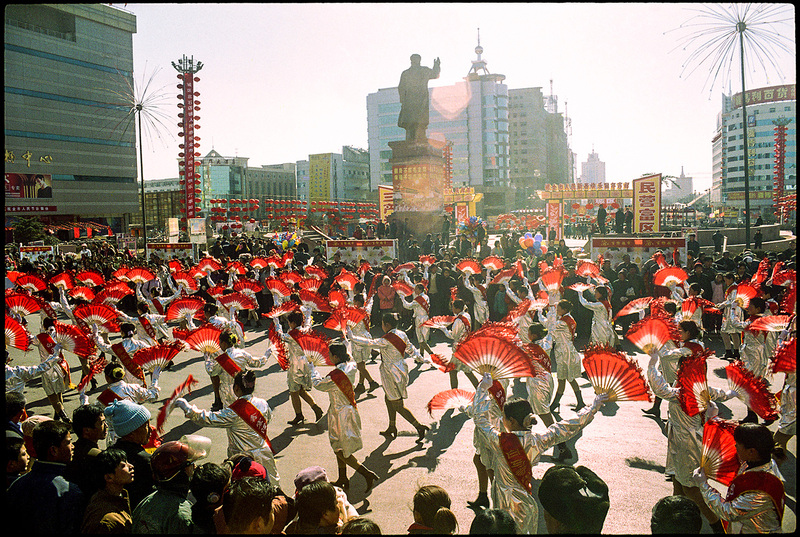 First in black and white, then color negative, later slide film, and now digital, Chen’s photographs have shown a China transforming in front of his lens, save one constant: the persistent statue of Chairman Mao. Thousands of Mao statues were constructed during the Cultural Revolution. Chen’s is the story of one that remained and the life that continues in its shadow. 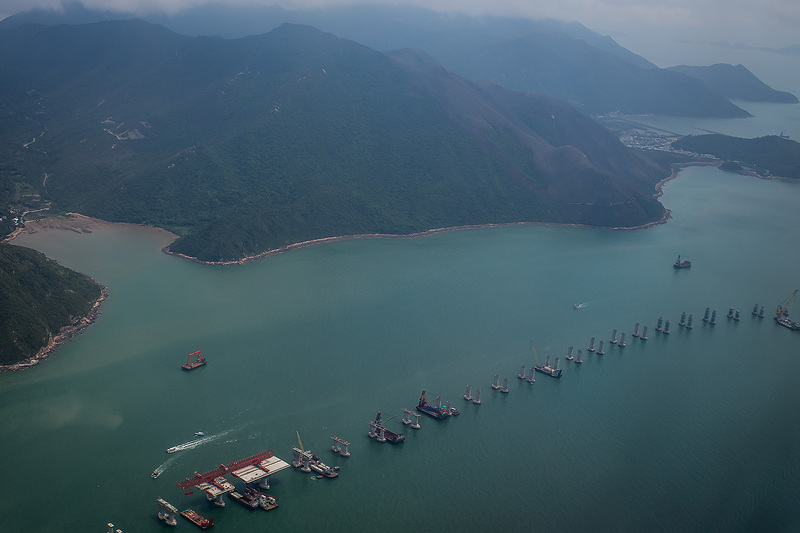 The Hong Kong-Zhuhai-Macau Bridge, currently under construction, will be one of the world’s longest cross-sea bridges, and will also include a lengthy underwater tunnel, when it opens next year, eight years after its construction began. Billy H.C. Kwok, a Hong Kong resident and photographer, documents the life and controversy that surround its construction. 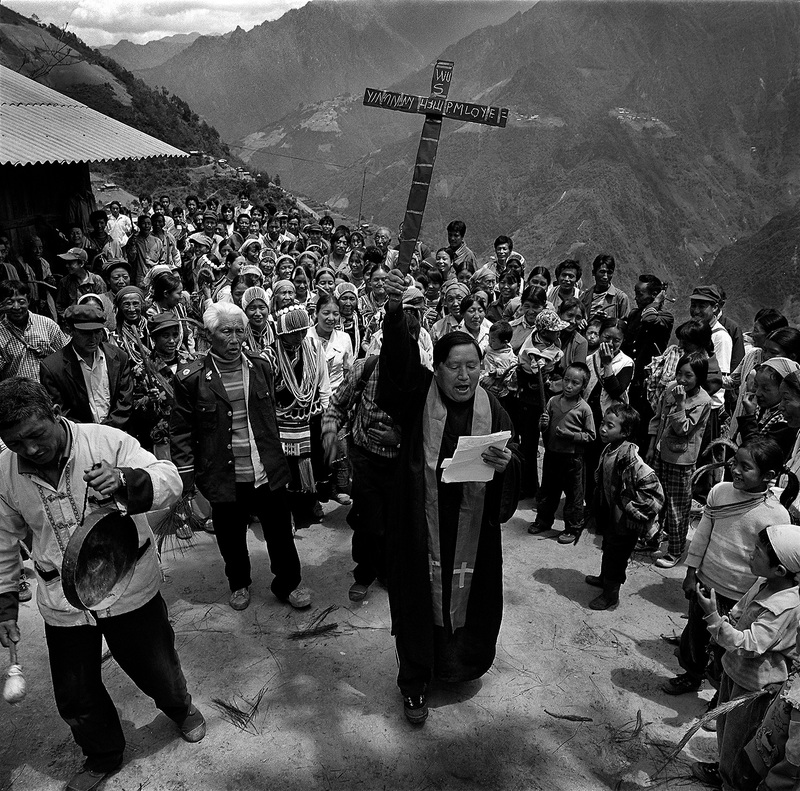 In the early 20th century, Christian and Catholic missionaries arrived in the Nu River valley in Yunnan province to convert the largely indigenous population, and many of the locals still practice Christianity today. In 2003, independent photographer Zhou Wei went to the valley to photograph escalating tensions surrounding the construction of 13 dams on the river. Over the next decade, he returned often. 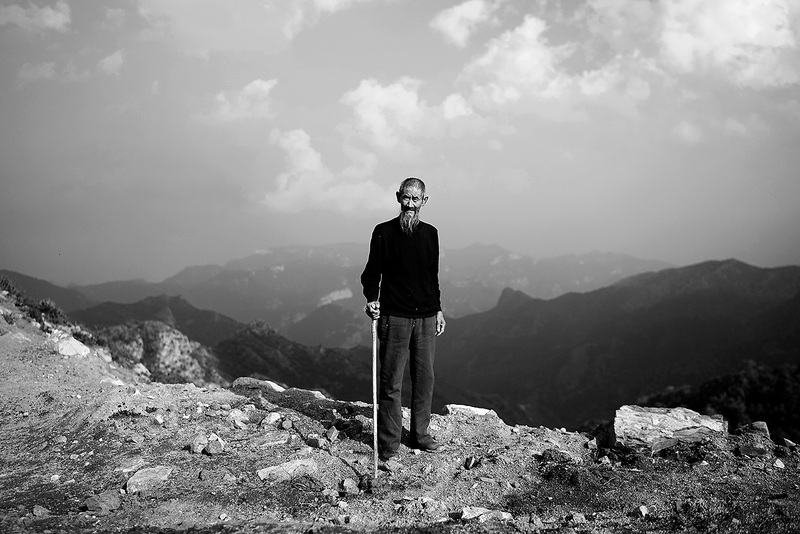 Dams were never built, but Zhou became interested in the communities he encountered in the valley and he decided to document their distinctive cultural and religious practices. From 2010 to 2016, Beijing doubled its number of subway lines. 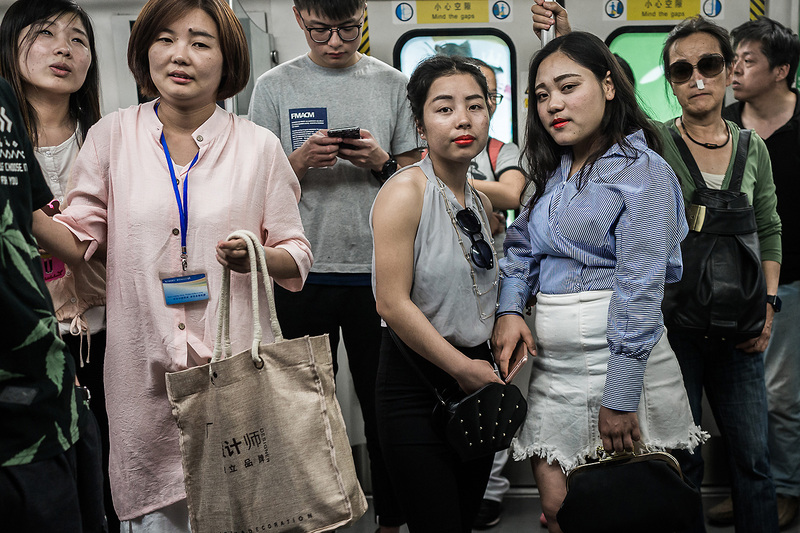 Over the same period of time, Zhang Xinghai photographed commuters riding the Beijing subway as this underground world expanded.